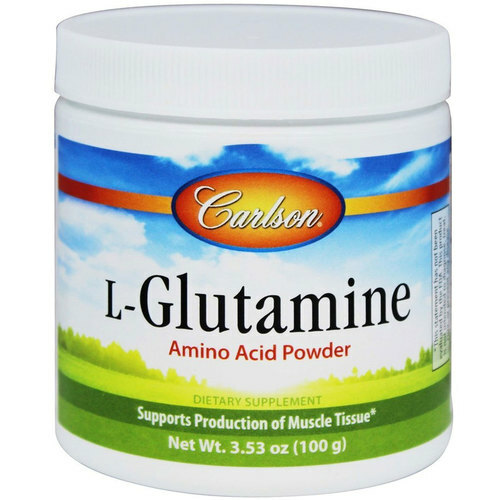 Carlson Labs L-Glutamine Powder contains a limited ingredient profile. Notes: Yeast Free. Casein Free. Dairy Free. Gluten Free. Soy Free. Sugar Free. Vegetarian. Wheat Free. Fish Free. Shellfish Free. Preservatives Free. Corn Free. Starch Free. Artificial Dye Free. Recommended Use: Take one level blue scoopful daily mixed into food or liquid.